I’ve got a quick copy of a copy, and it was quite the hit at my house! Kimba recently borrowed this idea from Meg at Whatever, and I borrowed it from Kimba! It’s a vicious creative cycle in blog world! As you can see, I have a few more things to add, but my kids wanted it hung right away. They are 10 and 7 so I thought they might not be into it. However, they kept showing it off to their friends and talking about it. Yes, I had to draw lines on mine. It took all I had not to use a ruler for the squares. As a matter of fact, I need to stop talking about it. There’s a ruler right in front of me, and I’m not afraid to use it. This weekend we tackled several things on the list, and our summer doesn’t technically start until next weekend! We may fill that sucker up sooner than expected! My son doing the chicken dance. He clearly gets his dance moves from his dad. Of course, a little pool diving “in action” is always fun. 5 more days of work, 63 open houses, two end-of-year parties, and a graduation ceremony to go! Just a Girl is almost back and ready to blog, people! I just need to make it through this week. Stay with me! Hang in there! And have a popsicle for me! We are here and waiting. Whenever things calm down, we will read again. I'm with you on the next 2 weeks of the crazies. We have it here too...hold on though, it's almost over!! HA! I posted ours this morning. I love love love this idea. I feel ya girl! I am in the same boat! You stick with me and I'll stick with you! Did I mention you are my hero? Woohoo! I'm excited for you! We've been out of (pre)school since last week though. Just finished watching the graduation of a lifetime at Kzoo central.. :) Luccckkys. WAHHHHHAAAAAA????? You TOTALLY stole my show and share?! YA - it's a great idea, because it was MINE! That's it, I'm leaving you 200 HUNDRED voice messages tomorrow. That'll show you. I did the same thing after visiting Meg's blog. Mine isn't all pretty right now, but it's LOOOOONG and my 8yo was very creative in his ideas. I'll have to post it to share. The end of the school year is ridiculous, isn't it? Sounds like you have a very busy summer ahead of you! Have fun! They aren't little but once, so enjoy every moment with them while you can. Great steal, I'm borrowing it too! The final countdown to summer vacation is always a busy one! Ours is thankfully behind us and now the lazy days are here. Woo! Love the chart/list of summer activities! I need to whip one up for my bunch! What an awesome idea!! I'm going to blog about it too (I hope...) LOL. Summer "to-dos" should be fun. I LOVE this!! Summer fun - ah how I have missed it! Now, if the sun could just make an extended appearance here in the NW, that would be great! Love the photos - they captured summer perfectly. I know that feeling! The last week is killer! I teach also, 4th grade though, and we just got out last Friday. I found your blog right before school ending and I can't wait till you start blogging more! 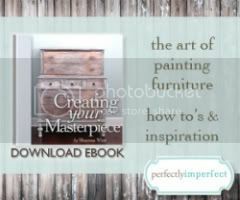 I am determined to refinish a dresser thanks to you and tackle a summer list with my kids. Keep blogging, I love it! That's on my list to do too. Love it! Hang in there! Just a few more days! Well, I bet the kids are going to have loads of fun. Check out this pillow I made http://www.flickr.com/photos/almcleary/4536268804/ - reming you of anything? Oh cute idea I made a "summer fun jar" and it's the same kind of idea since it's a collection of stuff we are going to do this summer. So far it's working well, but it may be nice to have it as a checklist. I may try that for next summer. Mom loves your list!! Especially the part that says visit Nee Nee....Have the kids do a "what I want to do at Nee Nee's house". You are such a great mom. Your kids are having a blast and school isn't even out yet. I'm counting the days for you. Love you!!!! This is such a great idea! I love it and I need to copy it! I can already check off get cast, hobble on crutches, send kids to grandma while mom recovers! Hope your power come back on! I love the idea of this list! The kiddos will love to check off all the fun stuff!